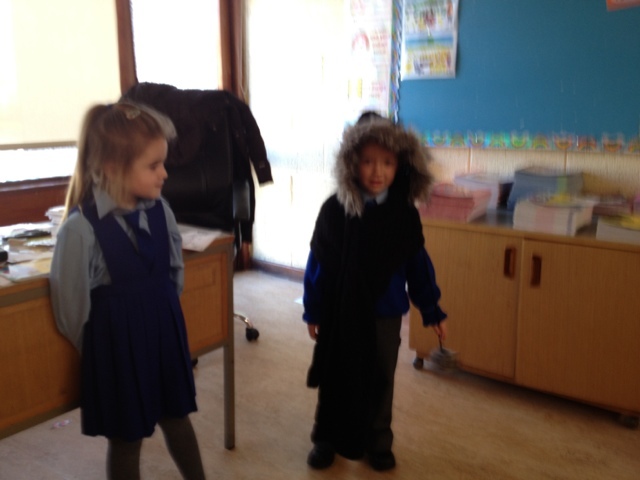 We listened to the story Jack and The Beanstalk. 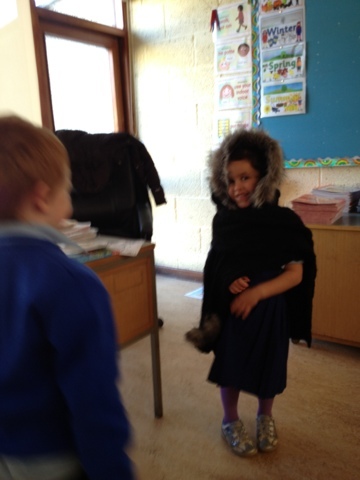 We told teacher we loved this story. 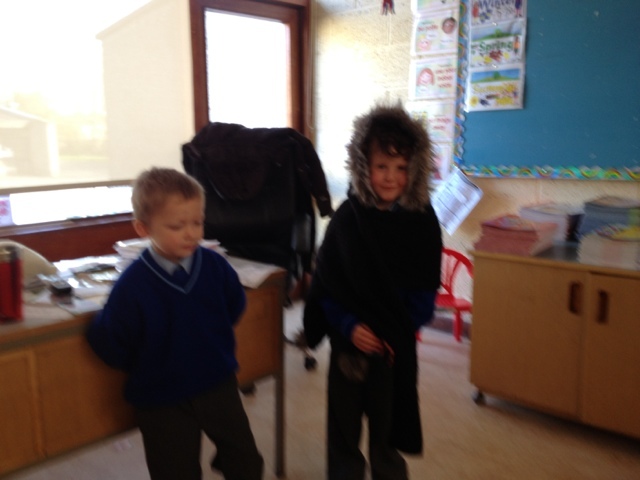 Then we pretended to be Jack's mammy. 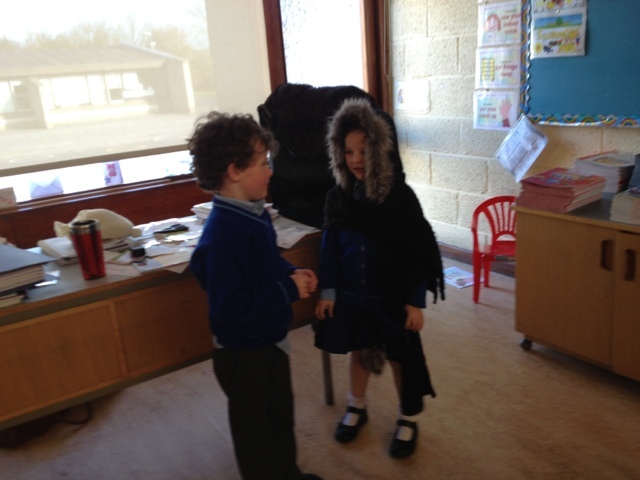 Jack's mammy told the story from her point of view to her neighbour. 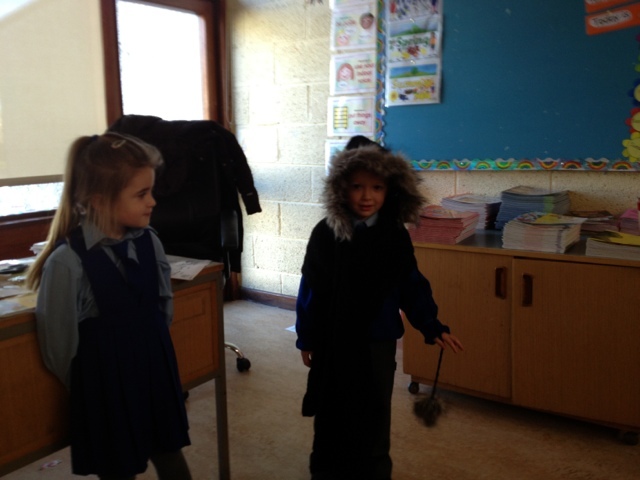 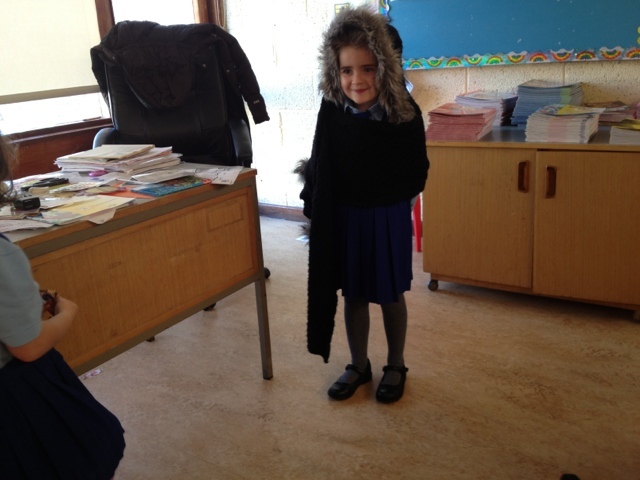 Some children were excellent at pretending to be Jack's mammy.